Mother's Day is Sunday, May 12, and "Deals and Steals" is has you covered with exclusive discounts on great gifts for mom. 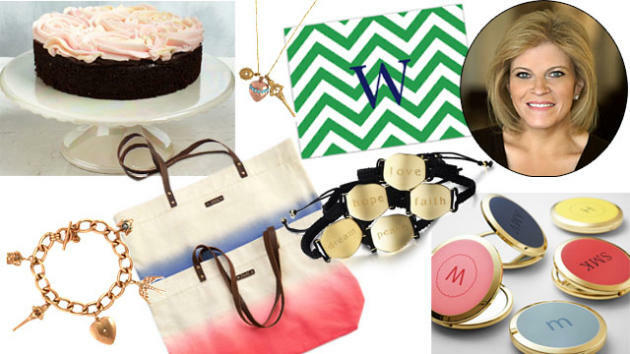 From bracelets, to trendy necklaces, great-tasting cakes, and colorful, personalized cutting boards, there's something to make every deserving mom smile. Enlighten and inspire mom everyday with this trendy jewelry piece. “Jewelry to Inspire” features a collection of spiritual accessories, including the adjustable macramé bracelets. 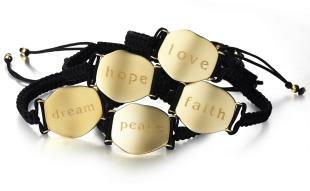 A variety of inspirational messages are crafted on metal with an 18k gold sand finish. Options include faith, love, hope, peace or dream. Each bracelet comes individually packaged in its own box, perfect for easy gifting. Shipping is $5.95. Add some flavor to your kitchen or serving spot. RuMe’s custom monogrammed glass cutting boards feature a scratch resistant, anti-bacterial surface and are equipped with non-skid feet on the bottom so you can safely prepare and serve food. Assorted colors and styles are available. Depending on the style you select, choose one or two initials for personalization. The dimensions of the boards are 11 ¼” x 15 1/4'”. Shipping is $8.95. British designer Alice Temperley is big in the London fashion scene and her designs have been seen on Kate Middleton and Beyonce. 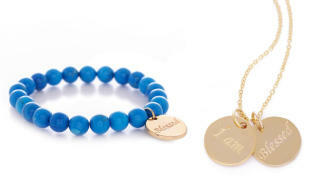 The Wonderland Collection is Alice’s first jewelry collection designed exclusively for Stella & Dot. Choose from various accessories including the Wonderland Charm Bracelet, Queen of Hearts Charm Necklace or Wonderland Charm Necklace, which can be worn three different ways. Limit one per person. Shipping is $5.95. Skip the bouquet and flowers that Mom will really enjoy. Designed exclusively for "GMA," this dessert features a 7 ¾” rich, chocolate cake and is covered in rosettes of shimmering vanilla frosting. 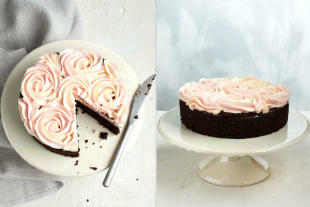 The cake will arrive frozen; store it until ready to defrost and eat. This will serve 6-8 people. Shipping is just 99 cents. 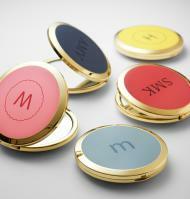 Perfect for mom’s touch-ups throughout the day, this compact mirror is a must-have for her bag. RedEnvelope’s gold plated enamel purse mirror incorporates a pop of color: choose from navy, pomegranate, pink, yellow or light blue. Optional personalization is also available. Standard shipping is $9.99. Tell someone you love them with a customized storybook. 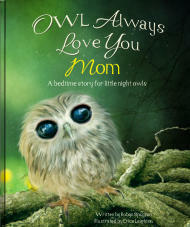 OWL Always Love You repeats the name of your choice throughout the entire story. With colorful illustrations and soothing rhyming verses, this is a beautiful read for the whole family. Choose from paperback or hardcover. Shipping is $3.99. Create your very own one-of-a-kind piece with a photo of your choice. PlanetJill jewelry is handcrafted with solid sterling silver and the accessories are made from solid quality pewter. 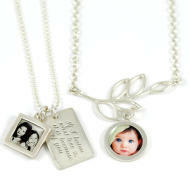 Choose from options including a necklace, bracelet or keychain, upload your photo and then PlanetJill will permanently seal the image. Upon purchase, you’ll receive a redemption code via email and that must be used on PlanetJill.com by May 5th in order to guarantee arrival for Mother’s Day. Free shipping! Carry everything you need on the go in this large tote bag. 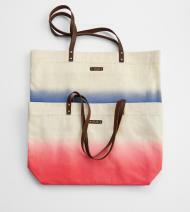 Featuring the very trendy ombre effect, the cotton canvas comes in either pomegranate pink or navy blue. The bags feature leather straps, antique bronze detailing and a zip close top. Optional personalization is also available. Standard shipping is $9.99. As seen in Elle and InStyle magazines and sold in high-end retailers, M2 by Mary Margrill pieces are delicate and feminine, sure to be among mom’s favorites. Handmade in the USA, an assortment of options are available, including the “I Am Blessed” double disc pendant, stretch bracelet, hoop earrings and purple passion ribbon wrap. Limit to 5 per person. Shipping is $9.